Despite the city’s robust Middle Eastern and Maghrebin communities, their respective culinary traditions have largely been relegated to pockets of the Marais and the north-eastern section of the city—until now. 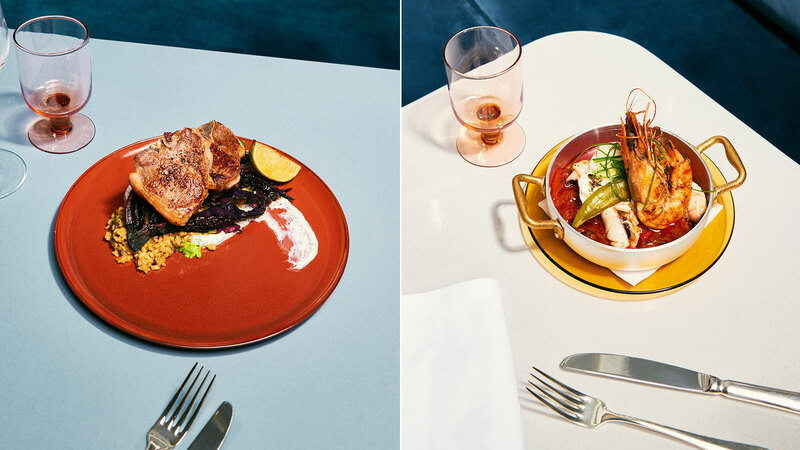 Award-winning Israeli chefs like Michael Solomonov and Alon Shaya may not have name recognition in Paris, but their cuisine—contemporary Israeli with flavors from North Africa, the Middle East, Greece and Turkey—is growing in popularity in the French capital. Finally. Despite the city’s robust Middle Eastern and Maghrebin communities, their respective culinary traditions have largely been relegated to pockets of the Marais and the north-eastern section of the city and overly simplified (Falafel sandwiches! Couscous! Kebab!). Call it an extension of the Ottolenghi effect—all of his books have been translated into French—or an overall lightening of the plate, but there’s recently been a noticeable shift toward more diversity in offerings. 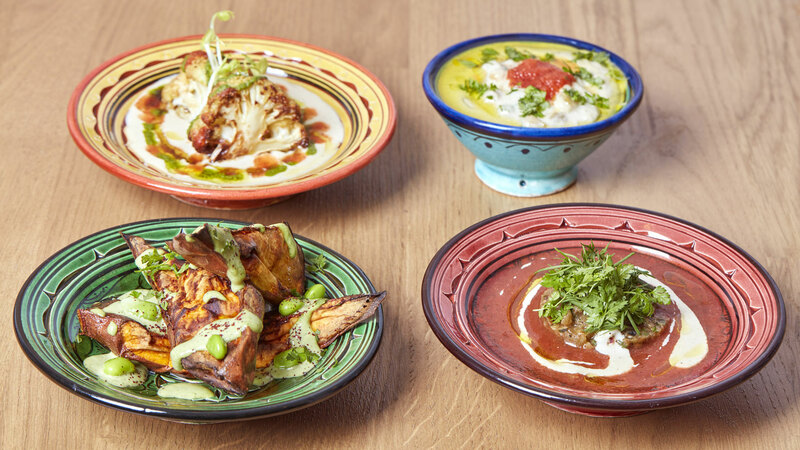 The first step beyond falafel came with the arrival of the Parisian outpost of the Tel Aviv street food institution, Miznon. Eyal Shani’s gourmet take on pita sandwiches, filled with ratatouille, kebab, or roasted cauliflower, landed in Paris in 2013 with a similarly vibrant atmosphere and a near-religious following right from the start. But it would take another three years before any semblance of a scene would find a foothold. Luc Dubanchet, founder of the food guide and culinary road show Omnivore, would argue that cultural considerations are a bigger factor in the movement’s slow start. “Paris was quick to accept pizza, couscous and Asian cuisine into their daily lives, but has never recognized the gastronomic value in African, Indian and Mediterranean cooking. It’s a lack of culture and awareness that stunted its development,” he said, adding that what diners were willing to embrace was the legendary falafel on the rue des Rosiers, without looking further for much else. According to Sharon Heinrich, an Israeli pastry chef, tour guide and de facto ambassador to Israel in Paris, Granit’s restaurant is the best representation of Israeli fare in the city. “It’s hard to define our cooking because it’s actually composed of hundreds of influences—Persian, Syrian, Lebanese, Greek,” Heinrich said. 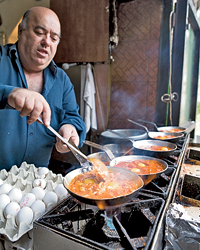 “Balagan shows off the Israeli kitchen’s amalgam of tastes.” And they do so with a bon vivant spirit and touch of theatrics that make dining out in Tel Aviv and Jerusalem such an experience on and off the plate. From Bonhomie, a Mediterranean sharing plates restaurant and cocktail bar, to Yafo, a new hummus bar run by former Ladurée and Prince de Galles chef Lotan Lahmi, to Tavline, a Marais canteen that showcases the range of vegetables, spices and herbs in Moroccan-Israeli cooking, a new guard is redefining what it means to dine out in the city with a rich and complex repertoire of spice, flavor and technique. “We bring a few spices from Israel but all the other ingredients are sourced from local markets here. The quality is among the best in the world,” said chef Granit.